Would you like to be able to do something in the event of an opioid overdose happening near you? 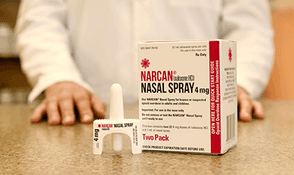 At the completion of the training, all attendees will receive a (2pk) Naloxone Nasal Spray kit. Registration for the event would be appreciated at lysb.org for planning purposes, but walk-in’s are welcome too. Every time a life is saved, that person has an opportunity to enter into treatment and get the support they need to recover.